By Dr Judy Laing, Reader in Law (University of Bristol Law School). 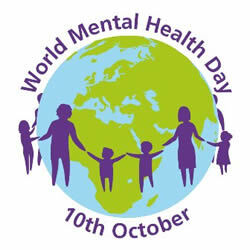 Today is World Mental Health Day and time for us to spare a thought for the millions of people around the world suffering from mental health problems. The World Health Organization (WHO) estimates that one in four people in the world will be affected by mental/neurological disorders at some point in their lives. Approximately 450 million people in the world are suffering from these conditions at any one time. This means that mental disorder is among the leading causes of ill-health and disability worldwide.